Sole: When and how was the brand established? 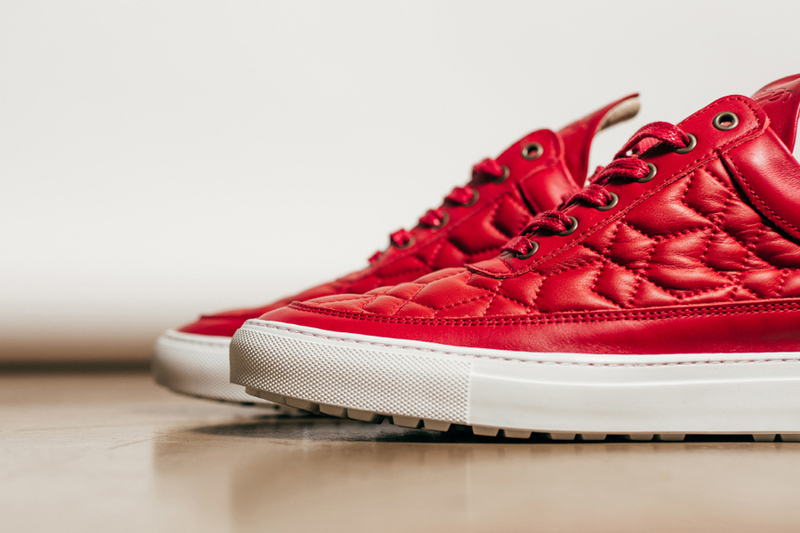 Guillaume: Filling Pieces started around early 2010. I started the brand out of a passion for footwear, and to seek a product that wasn’t readily available at the time. Back when I collected a lot of shoes, from high-end to street wear, I couldn’t find a product that shared both influences. I looked around for brands that made shoes that would be affordable, luxe, but still kind of sporty. When I found out this wasn’t really done well, I started sketching and sampling my own product. S: What is the story behind the brand's name? G: Filling Pieces… bridge the gap between the high-end and street footwear. S: How does Amsterdam's culture affect Filling Pieces designs? G: The style in Amsterdam is a good mix of street and high-end. We try to play on this fact, and our designs reflect this culture. S: What are your thoughts on European manufacturing, and why is this important for Filling Pieces? G: To be honest we started manufacturing in China where we were able to start a small production line. After a couple of seasons we decided to move our production to Portugal, because the lines are closer for communication, culture and shipping. Everything is hand-cut and mostly hand-stitched. S: What are your goals for 2015 and beyond? G: Filling Pieces has opened its first pop-up store in London’s Shoreditch. We have plans for the brands expansion and to work closely with all the top retailers in this industry.